Rating: 2 It's an OK intro course, but needs some more material to become a bona fide affiliate teaching program. The Good: The 55-page training manual gives you a good intro to the world of affiliate marketing. You get resource links and product recommendations. The Bad: Very little detailed info is provided on how to implement things like email marketing, PPC, Facebook Ads, sales pages, etc. You'll need to purchase the program's upsells or other third party products to truly become adept at affiliate marketing. There is no support community for you to join and get help from. The Bottom Line: This program comprises just one ebook and some third party links. There are better programs out there that can help you progress from beginner to intermediate to experienced affiliate marketer. – How to earn up to $20K/year and how to scale up to $100K+/year. – How to find the best affiliate products. – How to generate traffic to your affiliate site using two different ways. – How to create a ready-to-buy audience for your offers. – The four best platforms for finding information products. – How to locate high commission products. – How to boost affiliate product sales quickly. – How to leverage your network so you can scale up your business and eventually make six figures/year. – How to do person-to-person affiliate marketing. – How to successfully use content marketing and increase your earnings to $10K/month. So, does this program deliver on its promises? 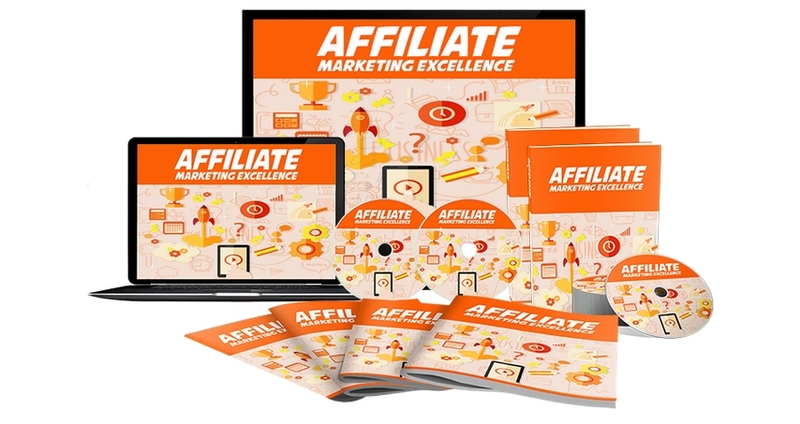 We purchased Affiliate Marketing Excellence to find out. What we first saw: Upsells! Overall, the guide was a good introduction to affiliate marketing, but it really only touched the tip of the iceberg when it comes to researching a product, marketing it, and creating content for the website. There was little advice provided on other matters, such as optimizing a website for SEO, or what exactly a good niche product would be. 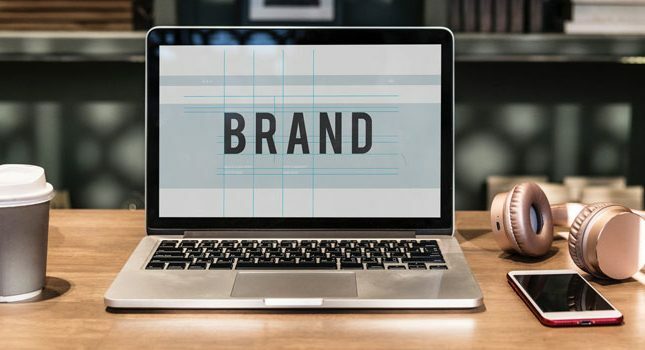 For example, in terms of finding a good product to market online, the content dedicated to this effort is rather sparse and only spanned a few pages, with no resources listed. 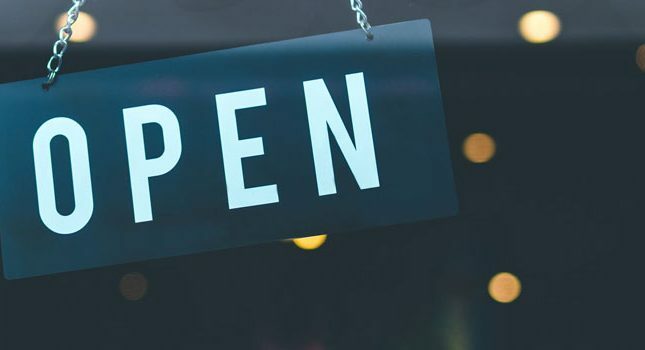 Compare that to the following free Shopify blog post, and it’s the blog post that is the clear winner in this category. 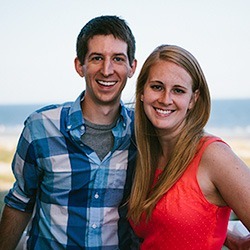 Regarding content on creating a decent landing page, even this ITT blog post does a better job. 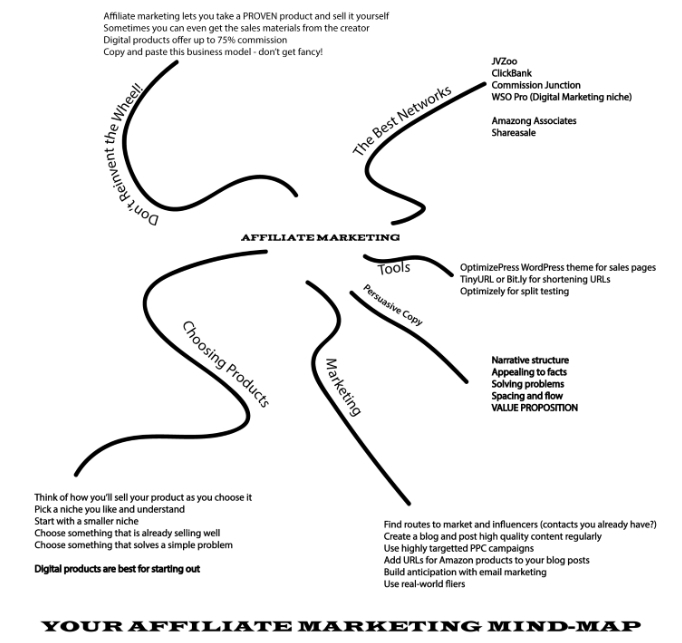 Get into the affiliate marketing mindset. Promote your website and product/s. Each of the above sections is followed by a paragraph or three of wrap-up regarding that point. And that’s all there is to say about that module. While it’s true that this is technically a mind map, it is embarrassingly inept. For the $15 that you pay for this program, you do get a good amount of introductory information to affiliate marketing, plus resource links. The content is presented in a readable and easy-to-follow format. Having the mind map at your disposal is useful too. The course is very very introductory, so if you know even a smattering of information about affiliate marketing, you won’t get much use out of it. Also, the supposed “secrets” that are advertised aren’t really secrets per se. For example, the products that make the most money, according to this program, are digital products like ebooks. Larry recommends that you find the most successful ones by looking at their popularity and sales. However, the problem with ebooks is that, although they often have high sales, they also often have high refund rates. And it’s really no secret that many affiliates sell digital products as their break-and-butter. Another issue with this program is that there is no Facebook group mentioned, forum or other source of support. You’re basically out on your own, clicking on resource links. The ebook that is provided via this program is good, but it is not a one-stop solution in your learning journey. In fact, I was surprised that no “how to” information was presented- like how to create a URL, set up a WordPress site, create an AdWords Ad, etc. No screen shots of example websites or ads were shown. Topics like email and content marketing were completely glossed over. Finally, the product is advertised as being a set of books, discs, etc. How exactly does this image translate to what you actually end up receiving, which is really not much more than one ebook? You have receive the course that is outlined on my website. I’m hoping that Paypal pursues my refund claim because I call the course out as “not as described.” However, for those of you who are wondering if you should buy this product from Larry Kearney, be forewarned that you will not receive a refund just by requesting one. Furthermore, this person has at least two other info products out on JVZoo (which I now suspect are all PLRs products), so many other customers will also be making the unhappy discovery that there are NO refunds. 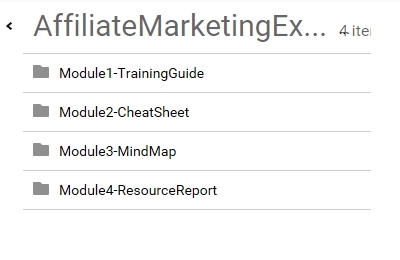 While Affiliate Marketing Excellence does indeed provide some useful material for starting affiliate marketers, it could definitely use some beefing up and community support. The base package is not much better than what can be found for free elsewhere.